1. In a large bowl or mixing jug combine the coconut milk, chia seeds and agave nectar. Taste and add more sweetener if desired. 2. 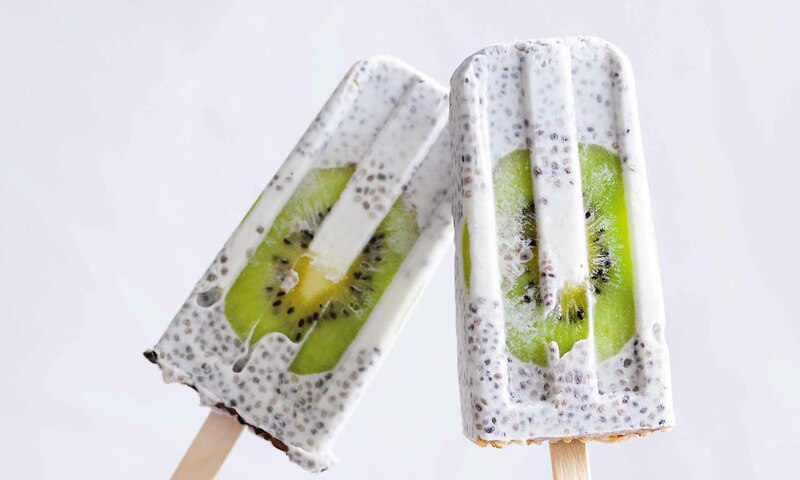 Press the kiwifruit slices into popsicle moulds and pour in the coconut milk mixture. Freeze until set, about 4 hours.